Lisa has been studying the art of dance all her life and has studied with top instructors in the various dance genres for which she teaches. Ms. Stop’s tap mentor was the late Professor Robert L. Reed. In addition to her studies with Professor Reed, she has also studied with tap dancers Savion Glover, Bril Barrett, Arthur Duncan, Dianne Walker, Jason Samuels Smith, Lane Alexander, Bob Audy, Maude and Chloe Arnold, Sarah Reich, Gregg Russell, Harold Cromer, Ardie Bryant and many, many more. Lisa has also participated in master classes with the following companies and individuals: Alvin Ailey, American Ballet Theatre, Hubbard Street Dance, Rasta Thomas Bad Boys of Dance, Hawk, Travis Wall, Sonya Tayeh, Twitch and Allison of So You Think You Can Dance and Rob Schultz. Ms. Stop’s Hawaiian and Polynesian dance training was gained through study in Hawaii and working with such great Kumus as Keith Awai, Keali’i Reichel, Chinky Mahoe, Cy Bridges, Sonny Ching, Tina Gleason-Eggert and Charlene Shelford-Lum. Lisa enjoys passing on authentic dances of the Polynesian people. In addition, Lisa cheered on the esteemed Gibraltar Carlson cheer team, four years at the University of Michigan Dearborn and coached in the Gibraltar Carlson schools. Professionally, Lisa has graced the stage alongside Ms. Eartha Kitt, Gregg Russell and Sarah Reich. 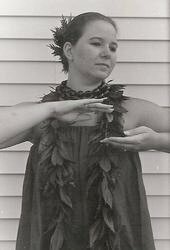 Lisa performs regularly with her own Polynesian troupe, The Tropical Wahines. She is currently a company member of the Detroit Tap Repertory founded by Denise Caston, is currently rehearsal director for the Detroit Tap Repertory Unlimited Company and was a performing member of the Detroit Hoofers Club, under the direction of Professor Robert L. Reed. Ms. Stop has choreographed for the Henry Ford College Full Circle Dance Company, for the Detroit Tap Repertory, Club Di Movimiento in Aruba and choreographed for local community theatre as well. Additionally, Lisa has taught for the Detroit Dance City Festival, the American College Dance Association and has been a guest teacher or competition team judge at numerous studios locally and worldwide including Aruba. Lisa is the Michigan representative for the International Tap Association. 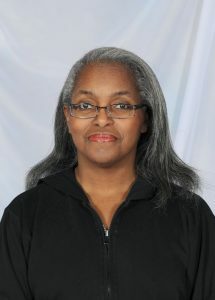 Ms. Stop has been a dance educator for well over 20 years and is now in her 16th season as Director of the Lincoln Park Dance Company. In addition to her extensive dance training, Lisa also holds a degree in education which aids her in the teaching process. Lisa holds a Bachelor degree in Electrical Engineering from the University of Michigan Dearborn and a Masters degree in Education from Marygrove College. She worked several years as an engineer before fully moving into a teaching career. Ms. Stop now teaches mathematics at Eastern Michigan University, Henry Ford College and Monroe Community College and occasionally teaches dance at Wayne County Community College. 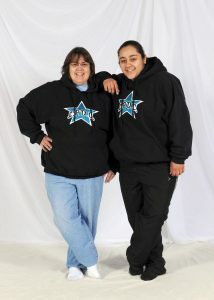 Ms. Stephanie (Danko) started her dance education with Lisa Stop in 1997 and has been dancing ever since. She began student teaching in 2005 and began teaching in 2008. Stephanie studies all types of dance including ballet, pointe, jazz, tap, lyrical, modern, contemporary, baton, Pom Pon, and the Polynesian forms. She has participated in master classes with Alicia Smith, Ofer Ben, Avi Miller, Valery Lantretov, Robert Schultz, Nan Giordano, and Polynesian Instructors Kealiʻi Reichel, Keith Awai, Chinky Mahoe, Charlene Shelford-Lum, Tina Gleason-Eggert, and Adelina Hanere. In 2011 Miss. Stephanie had the opportunity to perform in Orlando Florida at the Champs Bowl Halftime Show under the direction of Robert Schultz. In 2000, Ms. Garcia had the pleasure of joining the Tropical Wahines where she enjoys performing and passing on knowledge of the Polynesian cultures. Miss Stephanie is currently in pursuit of her bachelors degree in criminal justice at Wayne State University and plans on returning to school after she has finished to pursue a masters in business. Ms. Stephanie believes in lifelong education and continues to take classes and workshops to bring back and pass on her knowledge and passion for the art. 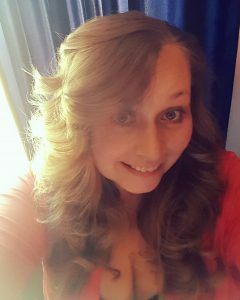 Miss Jennifer began dance classes at the age of 4 in 1998, began student teaching in 2009 and became an instructor in 2012. Over the , years she has studied various forms of dance including jazz, ballet, pointe, contemporary/modern, tap and baton. Miss Jennifer has attended many master classes with master teachers including Chloe Arnold, Valery Lantratov, Alicia Smith and So You Think You Can Dance’s Travis Wall and Allison Holker. Miss DeFiore has also performed several times for the Piston’s half time shows as part of the Automotion Dance Clinics. In addition, Miss Jennifer traveled to Orlando with the company to perform during the halftime show at the Champs Sports Bowl Game held in the Citrus Bowl Stadium in 2011. The show was choreographed and directed by Robert Schultz and was an unforgettable experience. Jennifer graduated with honors and in the top 10 of her class from Lincoln Park High School. While in school, she was very active and was a majorette in the Lincoln Park High School Marching Band all four years of her studies. Currently, Miss Jennifer is finishing a degree in Fine Arts with a concentration in Graphic Design at Eastern Michigan University. She has already put those skills to work for the Lincoln Park Dance Company where she has designed our current banner logo, recital t-shirts and has compiled and designed our recital memory books since their inception. Miss Jessica started as a student with Mrs.Lisa in 2003. 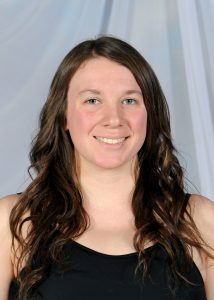 She has studied all forms of dance including tap, jazz, ballet, pointe, contemporary/modern, cheer baton and Hawaiian. She began student teaching in 2006 and became an instructor in 2008. She has participated in many master classes with various guest teachers including Bril Barrett, Chloe Arnold, Avi Miller and Ofer Ben, Alicia Smith and Valery Lantretov and Polynesian dancers Charlene Shelford-Lum, Tina Gleason-Eggert and Keali’i Reichel. Miss Hinson traveled to Orlando in 2011 with the Lincoln Park Dance Company and performed in the Champs Bowl Half Time Show at the Citrus Bowl Stadium under choreographer Rob Schultz. Miss Jessica is also part of The Tropical Wahines and has been with the group since 2004. She has danced at many community events with the group. She also enjoys learning more about Polynesian cultures and travels with the group to hula seminars whenever possible. Miss Averi has been dancing at Lincoln Park Dance Company for 18 years, participating in her first tap class in 1997. Throughout the years, she has taken part in several genres of dance including Jazz, Ballet, Contemporary, Hawaiian, Baton, Hip Hop and Cheer. Although she is still taking part in dance classes, she has become more involved with the company after student teaching for 3 years and finally becoming an instructor in 2012. Besides dancing, Averi works as a Teacher’s Assistant at Montessori Child Development Center and is attending Henry Ford College (HFC) majoring in both Pre-elementary Education and Special needs. Miss Averi actively participates in Master classes at the MotorCity Tap Festival and has studied with Chloe Arnold, director of the Syncopated Ladies. Additionally, she has attended master classes with previous dancers from So You Think You Can Dance including Allison Holker, Ivan Koumaev, Brandon Bryant, Hok and Travis Wall. In 2011, Averi traveled to Orlando Florida, with the dance company, to perform in the half time show at the Champs Citrus Bowl which she believes to be one of her most unforgettable dance experiences. Mr. Jair Alexander is excited to bring his experience and expertise in dance to Lincoln Park Dance Company. As a member of the electro-pop music duo, TELEPHON9, he has performed at various venues throughout southeast Michigan. He has been trained in many styles of dance for 11 years. 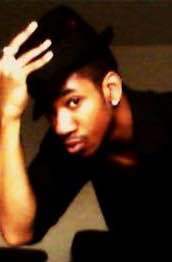 He has taught dance to a wide range of ages from grade school to high school. He is a former student of Oakland University and Henry Ford College. His choreography and other works can be found on his YouTube Channel, B3YONDme. His goal is to help students learn to interpret dance in their own way by using tactics and skills that make them stand out in their own unique way, while still learning the basics of various dance styles. He hopes his teaching will allow students to go beyond themselves to reach their full potential while still being able to appreciate and enjoy the art and freedom of dance. Janeen Bodary has been dancing her entire life and teaching and choreographing for over 20 years. She currently works as the choreographer for the musical theatre program at Concordia University in Ann Arbor. In the past Janeen has taught classes and/or choreographed for Madonna University, Henry Ford College, where she directed the Full Circle Dance Company for a short time, and the University of Michigan Dearborn. During her career, Janeen has choreographed musical theatre productions for many schools, community theatres, and performance groups throughout Michigan and is looking forward to working as a choreographer for Spotlight Players in Canton and Birmingham Village Players in Birmingham during the 2017-2018 performance season. While she is experienced in many genres of dance, Janeen’s passion is for hula and the Hawaiian culture. Janeen has gone through ‘uniki (graduation) as a hula dancer with Kumu Hula Mapuana de Silva of Halau Mohala ‘Ilima and continues to study with Kumu Mapuana. She currently serves on the Board of Directors for professional dance company DDCdances and works as a stage manager for the company as well. She holds a Bachelor’s degree with a major in Dance from Wayne State University where she performed and choreographed with the WSU Dance Company and won a Cooperfoot Choreography Award. 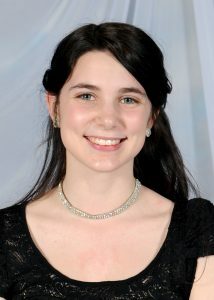 Abigail, Miss Abby, is a junior at Riverview High School and is dual enrolled at the University of Michigan Dearborn. She has been enrolled in ballet instruction since the age of 3. 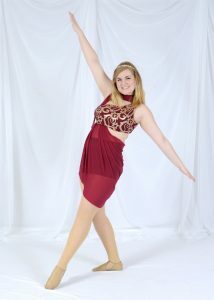 Miss Abby also studies and performs contemporary, jazz, tap and Hawaiian Dance. Abigail is a figure skater with the Lincoln Park Skate Company and Riverview High School and is active in Musical Theatre productions as well. She has studied with master teachers such as Meg Paul, Valery Lantratov, Chloe Arnold and Polynesian instructor Charlene Shelford-Lum. Abby was a member of the performance group that performed in the Citrus Bowl Stadium under the direction of choreographer Rob Schultz. Miss Socull has been an intern for the Downriver Youth Performing Arts Center (DYPAC) for 3 years and has just completed her second year as a member of the DYPAC staff in the position of teaching assistant. The is Miss Abby’s 4th year as student teacher with the Lincoln Park Dance Company. 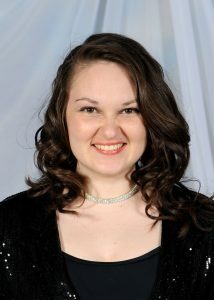 She plans to attend college upon graduation and study dance and phsychology. Miss Jillian is a junior at Lincoln Park High School. She has been a student at Lincoln Park Dance Company since age 3 and has studied Ballet, Tap, Contemporary, Jazz and Baton. Miss Jill is entering her second year as a student teacher. In 2014, she became a member of the Detroit Hoofers Club and was mentored by the late Professor Robert L. Reed. She continues her dance education by participating in dance workshops and festivals with such teachers as Chloe Arnold, Bril Barrett, Avi Miller and Ofer Ben. Jillian was also a member of the Orlando team that performed in the Citrus Bowl Stadium under the direction of choreographer Rob Schultz. Miss Wheatley is a 3rd year majorette with the Lincoln Park High School Marching Rails and looks forward to putting her choreography on the field each season. She plans to study dance and sports medicine in college. Miss Phyllis has been an active volunteer with the Lincoln Park Dance Company for 18 years. In 2008 she took over the office management. Phyllis handles many of our costume alterations, fundraiser payments, ticket sales and registration duties. She has been very generous to donate her time in this capacity to help keep our organization running smoothly. We are proud to announce that Miss Phyllis was also appointed to the Lincoln Park School Board this year and is serving to better the school district as well. 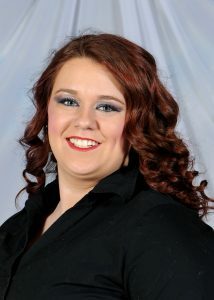 Miss Larissa has been an office manager for the Lincoln Park Dance Company for 3 years. She started volunteering when her niece joined the dance company. Miss Larissa helps with he daily running of the program including answering questions from parents, fundraiser payments, ticket sales and registration duties. She made her stage debut in our 2015 production as “Flashlight #2” and “Cheer Spot #6”. When not helping with the dance program, Larissa is a General Manager at KFC.